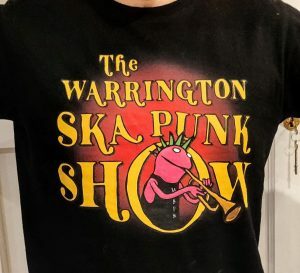 Wanna declare your love for Ska punk, for Warrington, or for helping out kids in need? 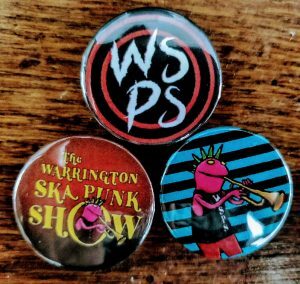 We have just the thing, in the four main food groups: Music, Tshirts, Badges and Stickers! Why not buy a few things and combine your postage! 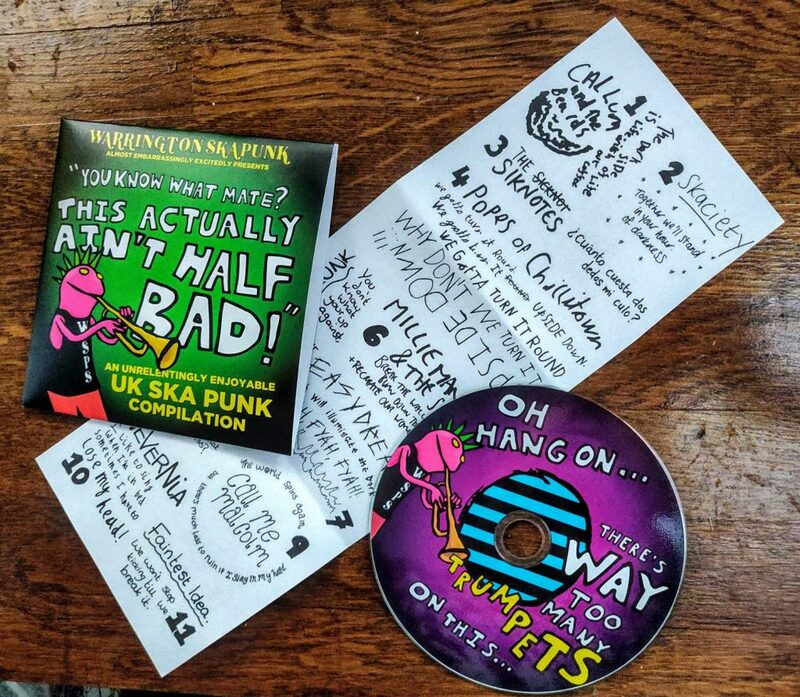 Released through Zero Airplay Records, this 22 track compilation contains a chunk of the absolute best that UK Ska Punk has to offer in 2019. As modelled by our disconcertingly handsome model (me), you can see we have a range of delicious tshirts, to suit all your tshirting needs. 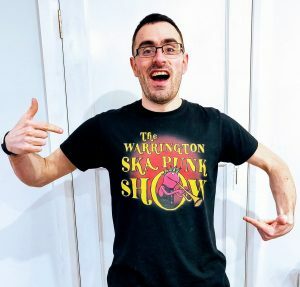 Whether its a new set of rags for mopping up discarded engine grease, something to knot together to escape from a tower where you are being forced to listen to jazz-metal, or even a thing to wear as some kind of clothing, we have you covered. Sort of. Unless you want a size we already sold out of. Sorry about that! What does everyone need, deep down? 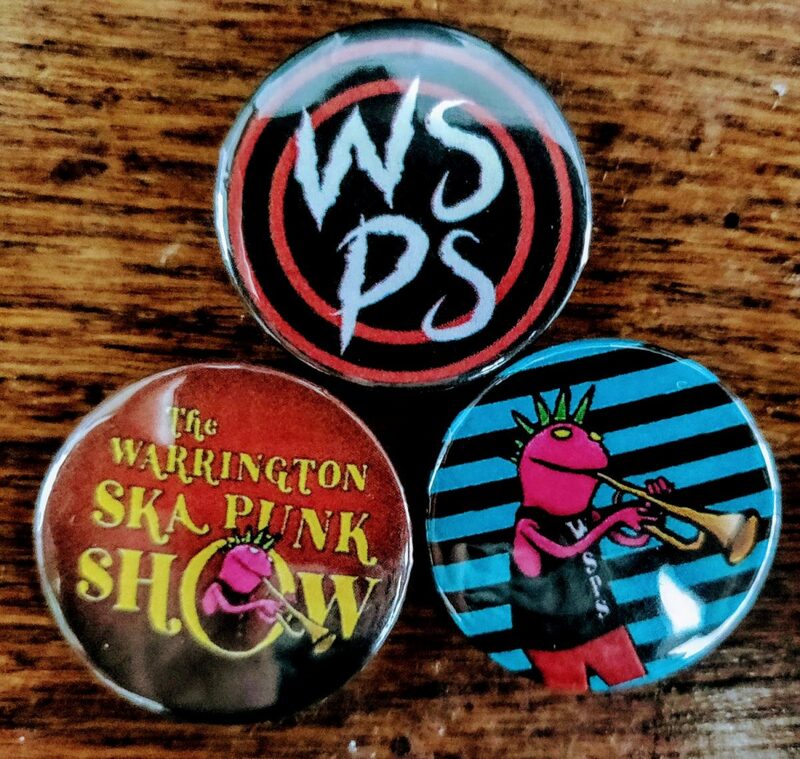 More badges! Of course. Handmade for us by the geniuses at Light Go Out zine, these badges are made from solid gold, glazed with diamond, and have been certified for use in surgery, in space, and in surgery in space! Of course, the only thing you need more than badges is stickers. 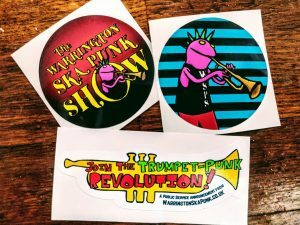 In three delightful varieties, these stickers can help you to remind people that a) you like ska punk b) you love the Warrington Ska Punk Show and c) you’ve just put a sticker on their face. 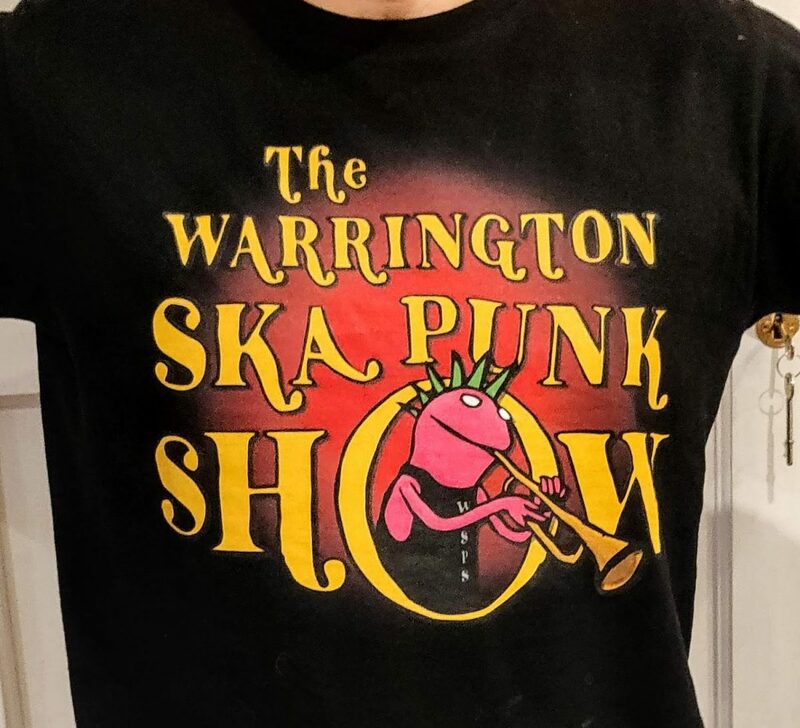 20p each, with discounts for more. Why not buy enough to completely cover a post box?